We’ve seen extensively documented records from the Syrian government proving their case, which is ignored by the international community, Vanessa Beeley, independent researcher, journalist and photographer, told RT. Samples from the site, collected by Russian specialists, which confirm Syrian findings, will be delivered to The Hague within a month. The watchdog is now set to analyze the documented findings. 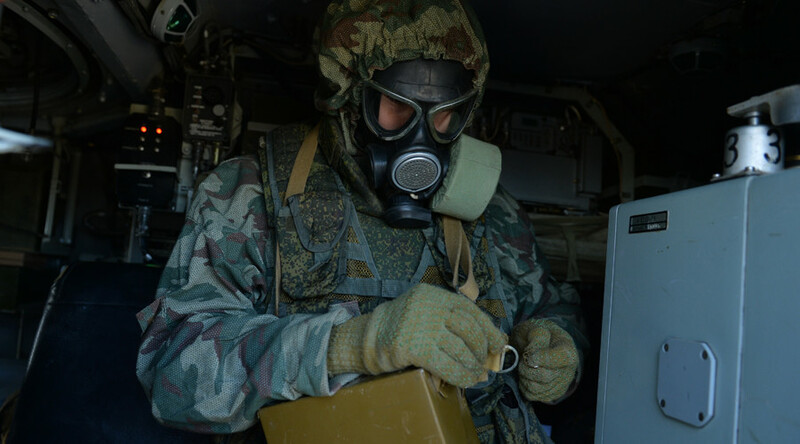 RT: Even though the evidence has been handed over, it shouldn’t be assumed that mustard gas has been used. What’s your take on that? 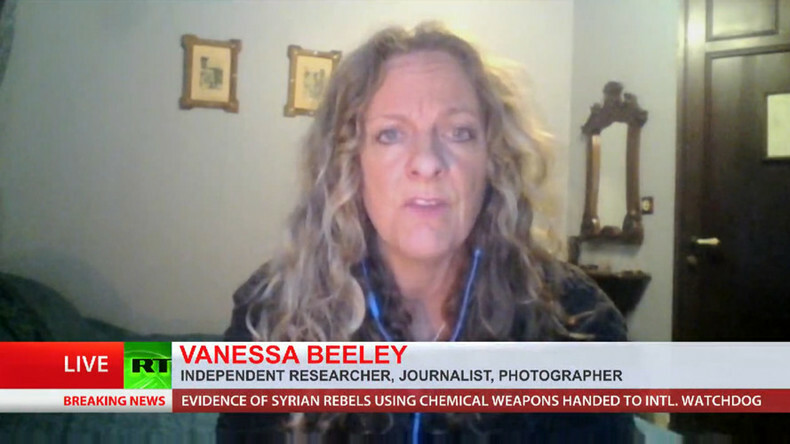 Vanessa Beeley: No, absolutely… We’ve got to remember that in 2012 Al-Nusra Front, which we know is backed by the US and its allies waging the war against Syria – Nusra Front took over the only chemicals factory in Aleppo. They destroyed the factory, but they stole basically all of the ingredients from that factory at that time. And also we need to remind people I guess that there are Turkish journalists in jail - particularly form Cumhuriyet [Turkish daily newspaper] - who reported with clear evidence that Turkey had been supplying chemical weapon ingredients to the rebels. If we go back to 2013, the real amplification of the chemical weapon accusations against the Syrian government – if we go back to just before those accusations, in March, 2013, when the Syrian government again made clear claims with documented evidence, which is never produced by the other side to prove use of chemical weapons by the government. But they produced clear documented evidence of attacks by the various militant factions on the two main cities Khan al-Asal and Damascus suburb… Around 25 people were killed and dozens more injured. Nothing was done to my knowledge about this report. And going forward, if we look at chemical attacks in 2013, for example, Robert Stuart’s forensic analysis of the BBC Panorama program on this – we see that serious falsification went on with the evidence against the Syrian government, the majority of which is produced by an organization, or a one man band, Eliott Higgins at Bellingcat, who previously [used the pseudonym] Brown Moses. The conversations between [Higgins] and Matthew VanDyke – the C tapes that are still on file, despite him having trying to eradicate them, or erase them from internet records, proved that he was told by Matthew VanDyke that the terrorists had access to chemical weapons even prior to 2013. So we’ve seen a catalogue of falsehoods on behalf of the NATO and Gulf States alliance. We’ve seen extensively documented records from the Syrian government proving their case, which is ignored by the international community. This is complete dehumanization of a sovereign nation and its people. — RT (@RT_com) 15 декабря 2016 г.
RT: Does the samples that were handed over by the Russians, who’d conducted their own official investigation, give the whole accusation a lot more wait? VB: It is going to be a lot harder to ignore. It will be very interesting to see how they play this. What we’re seeing at the moment is the complete dismantlement of every aspect of the propaganda apparatus that has been arrayed against Syria. We’re seeing the complete exposure of the mainstream media - lies for last five and a half years. We’re seeing the exposure of the many NGOs, citizen activists, journalists that are supposedly on the ground in East Aleppo, twitting hysterically about falsified reports of bodies on the ground, as I said. I’ve just returned from East Aleppo, I saw no bodies on the ground, even on the date that the White Helmets were claiming that these mass executions were taking place. I saw nothing. No photographs have yet been produced by any of these spurious sources that the BBC, Channel 4, mainstream media are using to amplify their propaganda. RT: If it turns out that this evidence has been irrefutable, what sort of action would you expect to be taken? RT: Now that the OPCW has the evidence. What's next? In August 2013 in Ghouta there was the sarin gas attack that caused many Western governments and much western media demand that the US attack Syria, that a ‘red line’ had been crossed. Subsequent serious investigations - including by Seymour Hersh - indicated that it was actually the rebels that had orchestrated that attack with assistance from Turkey. In addition there have been numerous cases and numerous allegations and accusations of the Syrian government using chlorine gas. Including in times when the sole chlorine gas manufacturing plans in Syria actually controlled by al-Nusra. There has been a steady stream of accusations against the Syrian government. It is great to see this coming out, this information emerging now. I hope the OPCW will do its job and conduct a very serious investigation of the matter. RT: What sort of response would you see and what sort of calls of action would you expect to be taken against the people that cause this? That looks to be terrorists and moderate rebels. RS: Well, we don’t want to presume what they’re going to do right now, but if the past is any indication they tend to lean towards the Western governments – certainly in the case in the past they’ve basically gone to opposition sources for their so-called witness testimonies. I think pressure needs to be put on them to do a serious investigation as quickly as possible. If the evidence has been uncovered, as it appears this story indicates, this is tremendous information and they should be following up very rapidly.